A striking appearance with fresh colours: The redevelopment of the municipal hall in Marbach focused on giving the building an elegant look while preserving the identity of the existing fabric – and thereby a piece of history. 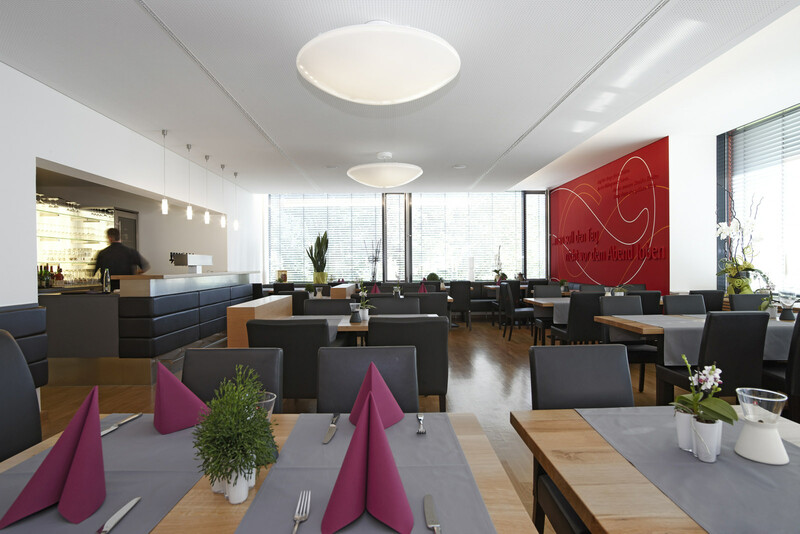 These values are also reflected in the Schillerhöhe Restaurant, which was also redesigned during the redevelopment. 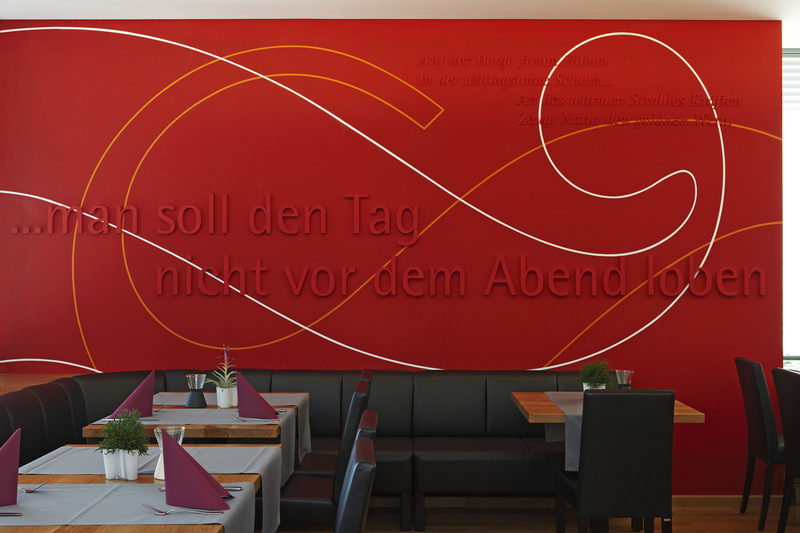 The choice of colours and the typographical work carried out by graphic designers Baumann and Baumann give the restaurant and municipal hall an individual character. A clear design vocabulary, a contemporary design and high-quality materials define the spatial impression and form an appropriate framework for all kinds of events.